You may have recently viewed SBS Insight on Tuesday 8th September 2015 which featured a program on contesting wills. During the program, presenter Jenny Brockie interviewed beneficiaries who spoke of their experiences in contested estates. Some of these individuals were beneficiaries who had been left out of wills and others where beneficiaries who had to fight to resist claims by other disgruntled beneficiaries. 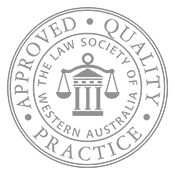 The program also interviewed several Melbourne based solicitors who practice in the area of contested estates. The answer is simple, “YES”. Many clients come to me very misinformed about the law and the legal position with respect to the above three questions. These clients sometimes present me with DIY wills which they ask me to review. More often than not, these DIY wills contain “home crafted clauses” which have no legal standing and are unenforceable. It is these type of wills that have a much greater chance of being contested. Engaging a specialist estate planning lawyer to assist you with drafting your will may overcome many problems when it comes to estate litigation or the potential for litigation. The benefit of having a will drafted by a qualified and experienced legal practitioner who specialises in wills and estates is that you will be able to make an informed decision about the division of your estate. If you are looking to ‘cut’ a beneficiary out, your lawyer will also discuss alternative strategies with you such as passing assets over to beneficiaries during your lifetime, transferring assets into different ownership structures and ensuring that assets which may swing either into your estate or out of your estate upon death (such as superannuation and life insurance) remain outside of your estate. All of these strategies require careful consideration, in particular with respect to taxation and transfer duty implications. Engaging a wills and estates lawyer to prepare your will also mitigates the risk of other challenges being made to your estate in due course such as, beneficiaries claiming that you lacked legal capacity to make the will when you did or claiming that you were coerced or placed under duress to make the will on the terms you did. In situations where such claims are made, the lawyer receiving instructions and drafting the will is often called as a witness. He or she may be able to bring further evidence to refute any such allegations. If you would like more information on drafting a will, contesting a will or defending a claim against an estate, please contact info@hktlegal.com.au or contact our office on (08) 9325 5700.